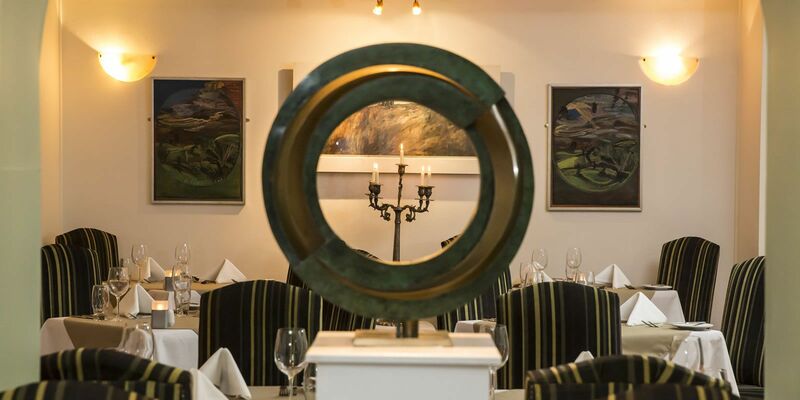 Justifiably considered by many as the finest Carvery in the South East, it is also a perennial contender for Leinster’s best award. 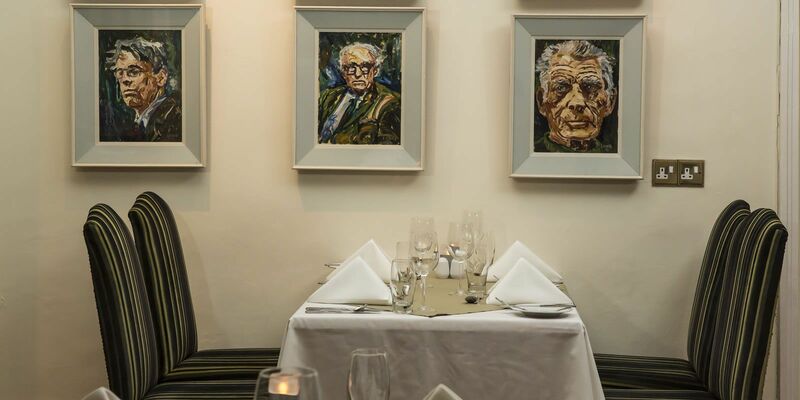 Chef Martin Byrne provides more than just a delightful dining experience. 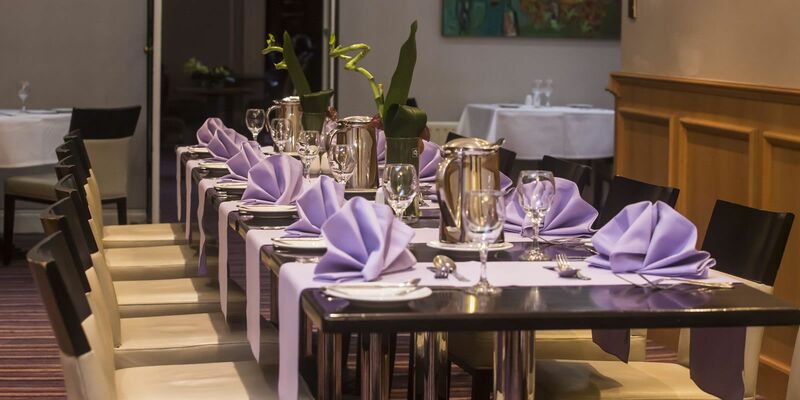 From old favourites such as traditional Loin of Roast Beef or his Famous Salmon en Croute to modern cuisine such as Asian Red Curries and Fillet of Chicken Topped with Stir Fried Vegetables. 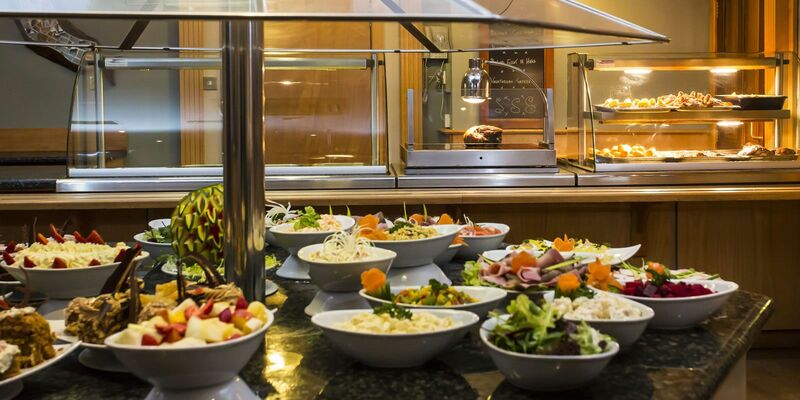 Carvery Lunch at the Brandon House is always buzzing with “the locals” and those who travel from near and far to sample Martins delights.We also cater for pre and post meeting lunches and pre-arranged reserved seating for large groups. 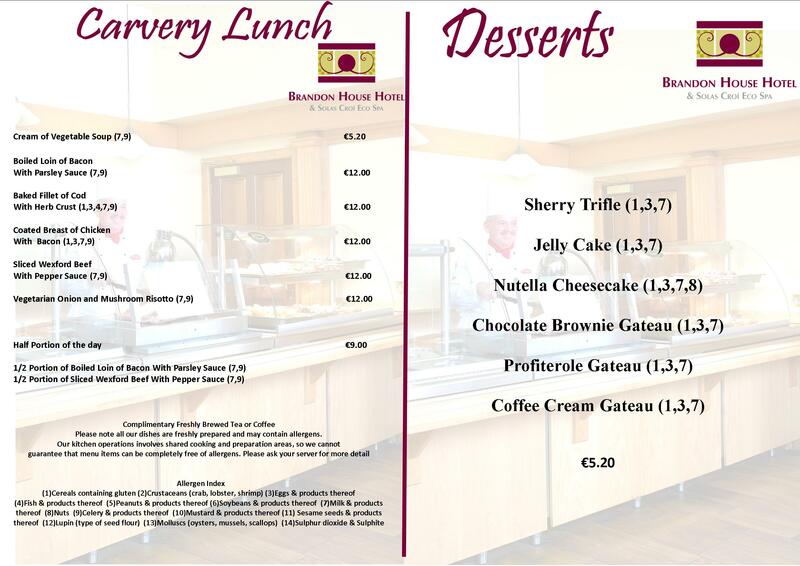 Carvery Lunch is available every day and no booking is required.